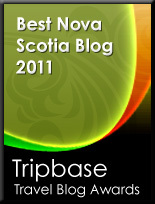 Bloggers on the subject of Nova Scotia have been given awards by the Tripbase judging panel not just for their personal stories pertaining to Nova Scotia, but also their insightful advice designed to assist the prospective traveler into the destination. Despite the frigid temperatures of winter, Nova Scotia otherwise offers warm days and blue skies during much of the rest of the year. Between the seven regions of Nova Scotia, visitors will find a variety of adventures and experiences that will be worth the trip north. Towns along the coastline offer local shops and restaurants touting the best seafood, the perfect exploration of foodies searching for the best regional cuisine. To tackle the terrain of Nova Scotia, walking and bike tours are offered to explore the shores and seacoasts of the regions. For more thrilling and robust experiences, travelers can join a group of tidal bore rafters and experience the highest tides in the world on a raft. Visit and tour local wineries and taste favorite regional wines, and enjoy the beauty and variety of the landscapes on your journey along the way. From region to region, you'll see forests and farmlands, jagged coastlines and stretches of beach, and quaint villages and lively towns, all connected by winding roads with a picturesque scene guiding you along. Nova Scotia is known as a friendly and welcoming tourist destination, and with English as the main language, it is an easy choice for travelers to make to visit a place like no other. With a population of only one million calling Nova Scotia home, there is plenty of room in the seven regions for travelers to explore and find their own peace and quiet in all of its beauty. The blogs listed below are the best at highlighting the appeal of Nova Scotia and the variety of activities that visitors can plan to experience.